As we are quickly approaching our one-year anniversary in our new Pender Drive location, there are a couple of updates we wanted to share with you. Our Executive Director, Joel Bednoski, and his family will be relocating to Nashville, Tennessee this month, as Joel's partner Patrick has been appointed to an executive position at Vanderbilt University. While this news is unexpected, it is good too! Joel will remain on as the Executive Director with IMCC, primarily working remotely but will still be on site here at the Center from time to time. Although we'll miss his smiling face every day (and we may have to add this to our wishlist), he will still be very much involved with the day to day and strategic management of the organization, from afar! With this change, we recognized the need to have some physical management on site day to day. We are happy to announce that Robin McGlothin has been promoted from Director of Donor Development to Assistant Director! She will work closely with Joel as liaison to the Center, our participants, families, our professional and community partners, and our supporters. Robin will assume a majority of Joel's day to day functions at the Center while still focusing on the fundraising and development aspects of the organization. If you know us well, you're probably thinking - but Robin is pregnant and will be going out on leave starting in January - and yes, you would be correct! As Robin will be out on maternity leave for a few months, Christi Clark, our Education and Outreach Coordinator, will be the Interim Assistant Director fulfilling Robin's responsibilities during that time, in addition to maintaining the education and outreach efforts of IMCC. With change comes opportunity. We are so thankful to be able to keep Joel at the helm and also be able to tap into the talents of our amazing staff and promote from within. As always, we will maintain the same level of commitment to caring for all our participants, families and the community with the highest quality of care possible. 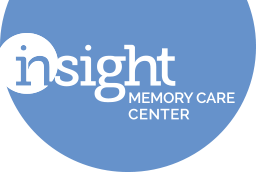 We sincerely thank you for your continued support of Insight Memory Care Center, and we look forward to an exciting 2016!